After losing the First Sino-Japanese War, China ceded Taiwan to Japan in 1895 as part of the Treaty of Shimonoseki, resulting in 50 years of Japanese colonial rule in Taiwan. As a result of the Japanese surrender at the end of World War II in 1945, Taiwan was placed under the administrative control of the Republic of China (ROC) on October 25, which has since become known as “Retrocession Day”. Initially, the Taiwanese inhabitants welcomed the Kuomintang (KMT) troops from the ROC; however, many of the troops were highly undisciplined and looted and stole from the Taiwanese people. The KMT administration also confiscated hundreds of Japanese-owned factories and mines and maintained monopolies in tea, paper, chemicals, mining, and other vital goods, creating a general shortage of goods in Taiwan that was further exacerbated by the administration’s practice of buying goods cheaply in Taiwan to sell for very high prices in China in order to meet shortages that resulted from the Chinese Civil War. Many Taiwanese were displaced from their jobs, and economic mismanagement by the KMT resulted in extremely high inflation and widespread food shortages. Combined with the overall breakdown of infrastructure and public services, cultural and language misunderstandings, and the inability of the Taiwanese elite to self-govern as they had under Japanese rule, the sharply declining economic conditions fueled local frustration with the KMT administration. The building tension finally exploded on February 27, 1947 when Tobacco Monopoly Bureau enforcement agents in Taipei hit 40-year-old widow Lin Jiang-Mai (林江邁) in the head with a pistol when confiscating contraband cigarettes. As the agents fled from the surrounding Taiwanese crowd, one of the agents fired his gun and killed a bystander, prompting a protest that called for the arrest and trial of the agent. The following morning, on February 28, security forces attempted to disperse the protesters by firing on them, resulting in several deaths, which, in turn, prompted several Taiwanese to seize control of the Taipei administration and several military bases. For a few weeks, the Taiwanese civilians were able to control much of Taiwan. Volunteers helped maintain public order in Taipei, and local leaders formed a Settlement Committee, which presented the government with a list of 32 Demands for reform, such as greater autonomy, free elections, surrender of the ROC army to the Settlement Committee, and an end to governmental corruption. Some of the various Taiwanese groups demanded greater autonomy within the ROC, while others wanted UN trusteeship or full independence. Seeking to obtain a greater role in determining Taiwan’s political future, the Taiwanese also demanded representation in the forthcoming peace treaty negotiations with Japan. On March 8, the KMT launched a brutal crackdown. 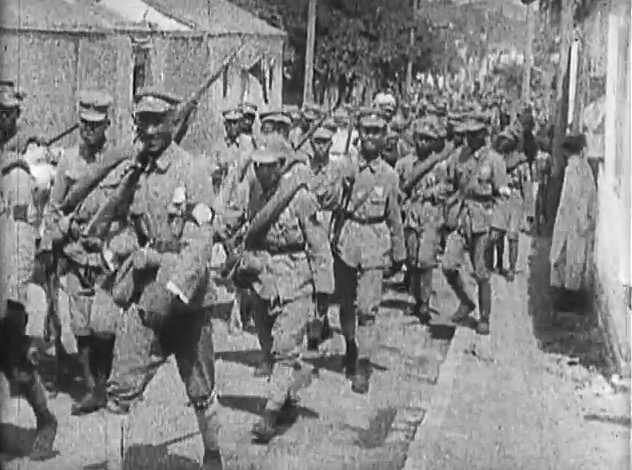 Governor-General Chen Yi assembled KMT forces in Fujian and deployed them against the Taiwanese. For three days, the troops indiscriminately killed and looted, shooting at everyone they saw on the streets and breaking into homes and killing the occupants. This brutal massacre marked the beginning of the White Terror, which was a 38 year-long period of martial law that lasted from 1949 to 1987. According to a study that was conducted by former Democratic Progressive Party (DPP) legislator and political prisoner Hsieh Tsung-min (謝聰敏), about 140,000 people were imprisoned and between 3,000-4,000 people were prosecuted and executed during this period for allegedly acting as Chinese Communist spies. Although some of the killings were random, Chen Yi systematically targeted intellectuals and those who were against KMT rule. By murdering the Taiwanese intellectual and social elite, members of the various self-governing groups on Taiwan, and Taiwanese high school students, Chen Yi eliminated those with modern education, administrative experience, and political maturity in order to quell future resistance to KMT rule. Chen Yi was eventually dismissed for his mismanagement of the Taiwan administration and was executed in May 1950 for alleged espionage against the KMT. Families of victims were also provided with monetary compensation. However, even after martial law was lifted from Taiwan in 1987, the 228 Massacre remained a taboo topic that was heavily censored by the KMT. Several citizens’ groups sought to lift the taboo on the 228 Massacre by initiating the Justice and Peace Movement in the 1970’s, and the Executive Yuan issued the “February 28 Incident Research Report” in 1992. In 1995, President Lee Teng-Hui issued a formal apology on behalf of the government and declared February 28 as Peace Memorial Day to commemorate the victims of the massacre. The government also established the 228 Incident Memorial Foundation, a civil reparations fund for the victims and their families. 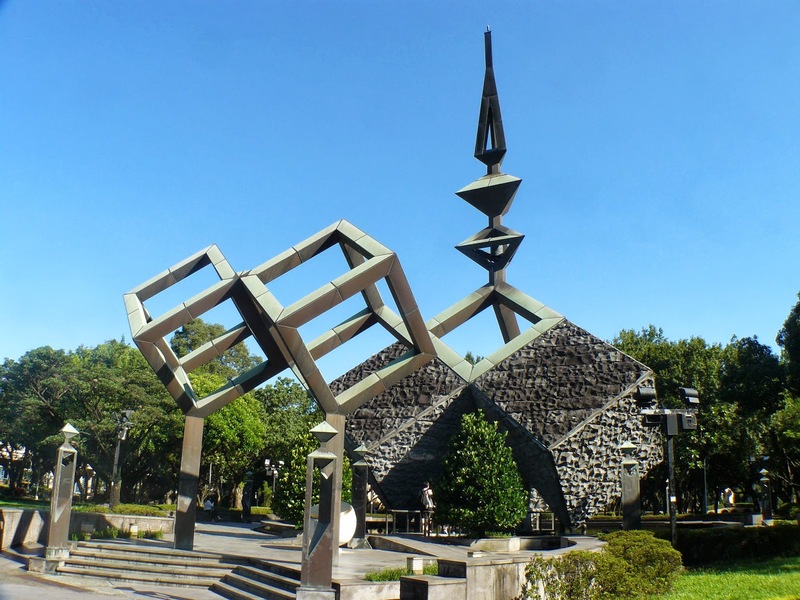 Several memorials have also been established, such as the 228 Memorial Park in Taipei, which houses a 228 Massacre Monument that is inscribed with an exhortation for peace and unity: “[W]e must be one, no matter which communal group we belong; we must help each other with compassion and treat each other with sincerity; we must dissolve hatred and resentment, and bring about long lasting peace”. Peace Memorial Day is now marked by memorial services for the victims, art exhibitions, concerts, and a ceremony during which the Taiwanese president rings a ceremonial bell, bows to the victims’ families, and presents each family with a certificate stating that each victim was not guilty of any crime. Since the lifting of the taboo on speaking about 228, the topic has been addressed in various artistic mediums. 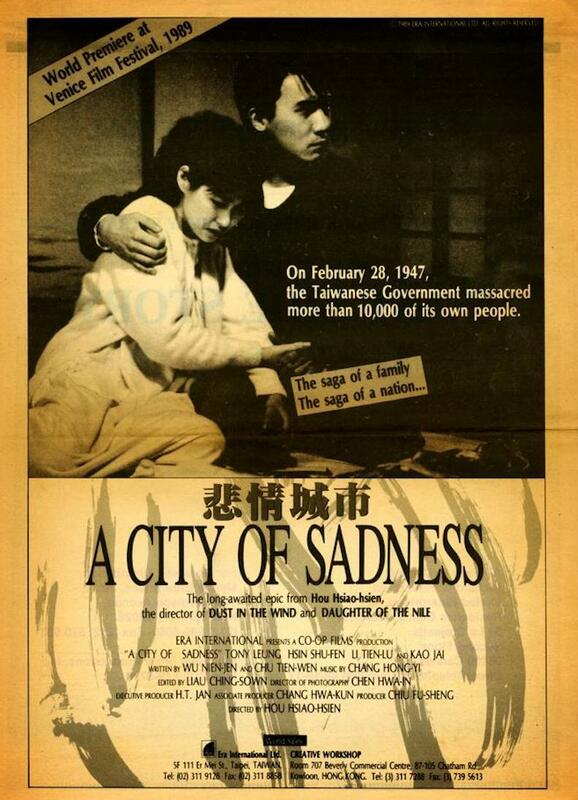 Fan-Long Ko, Tyzen Hsiao, and the Taiwanese metal band Chthonic have composed music about the 228 Massacre, and Hou Hsiao-Hsien’s City of Sadness, which was the first film to portray the event, won the Golden Lion award at the 1989 Venice Film Festival. The 2009 political thriller Formosa Betrayed references the 228 Massacre, and literary works such as The Third Son and The 228 Legacy also discuss the event and its aftermath. However, many novels and films concerning the 228 Massacre do not delve into the specifics of the incident, and, despite existing artistic portrayals, the 228 Massacre is poorly represented in international media and is not well remembered globally as a site of national, historical trauma alongside other similar events. This lack of awareness can be contributed to both the KMT’s censorship of the topic as well as the American government’s efforts to cover up the event. Due to the restrictions placed upon discussing the 228 Massacre during the Martial Law period, official Taiwanese textbooks did not acknowledge the event, so many early Taiwanese activists did not learn about the Massacre until they had the opportunity to study abroad or to read foreign historical materials. Additionally, as part of its campaign against Chinese Communism, the American government supported ROC leader Chiang Kai-Shek and turned a blind eye to the 228 Massacre and the brutal oppression of the Taiwanese people during the Martial Law era. Although the KMT now acknowledges the reality of the 228 Massacre, it continues to downplay the scale of the event and insist that the Massacre was an unfortunate, but necessary, measure to maintain public order. 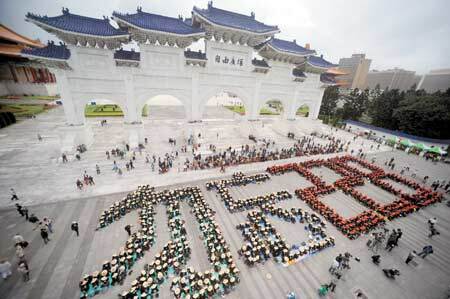 Even today, public education in Taiwan does not discuss the event in great detail. As a result, the 228 Massacre is little known worldwide, and many Taiwanese today are still not fully aware of the 228 Massacre despite its historical significance and importance in the Taiwanese independence movement. Prior to the 228 Massacre, many Taiwanese had hoped that the end of Japanese colonial rule and the retrocession of Taiwan to the ROC would allow for greater self-government. However, the brutal suppression of dissent through military force during the 228 Massacre, combined with inconclusive dialogue with the ROC administration, effectively destroyed the Taiwanese people’s hopes for greater autonomy from China and demonstrated the importance of establishing a Taiwan that is democratically governed by the Taiwanese people. 228 also helped establish a Taiwanese identity that is distinct from that of China, a concept that has played and continues to play an important role in the Taiwanese independence movement. To read and learn more about Taiwan, sign up for our monthly newsletter here. Many of those killed in 2-28 were collaborators and murderous running dogs of the IJA during World War II. More of them should have been executed, alongside Japanese Class A & B war criminals. Too few Taiwanese and/or Japanese wokou quislings were rightfully punished for their sins; nor were they sincerely repentant or ashame of their evil misdeeds. (May their dirty souls never ever rest in peace.) I have yet to see or hear a single penitent Taiwanese quisling express regret for his crimes against the Hwa Qiao communities. The 2-28 movement may not have been started by these Taiwanese quislings, but these unrepentant murderers/executioners of the “Sook Ching” massacres (ethnic genocide against the Chinese or Hwa Qiaos all over southeast Asia), surely sensationalized this fabricated ’cause célèbre’ and soon took over the 228 riots, in order to cover up their own despicable atrocities. What is abominable about these massacres/torturous rampages committed by these so-called Taiwanese ‘Volunteers,’ was the fact that they were acts of violence against people of their own race — crimes against humanity magnified a hundred times. (No wonder these wicked ‘Tai-du’ are now claiming ethnic differences from their actual kinsmen, the ‘Chinese’, to distance their kinship from their own victims — how convenient, how obscenely convenient !! I for one cannot fathom their depth of evil and monstrosity.) These soul less Taiwanese numbskulls think that with this type of post-rational thinking, they may just be able to assuage their sense of guilt and forget the whole thing as part of the past. Pueeeeh!!!!! May they all fry in hell!! Such shameless bastards do not deserve pity. forget — you’re also Chinese. After all, Taiwan should show the world it is a civilized nation, made up of better stuff than this — a civil and righteous society.